Congratulations to Diana Beatima, winner of this giveaway! Welcome to my first ever giveaway! As I mentioned in my previous post, I will be giving away some of the products I received during the Loyalty Card Launch. These are the products I have already tried and liked, and I would like to share this with you. One winner will receive the following products. Specifically, the products to be given away are the following. Contest runs from today until July 20 midnight. I will be announcing the winner on this blog as well as on the Becoming Sleek facebook and twitter pages once I evaluate the entries. Readers 18 years old and above are allowed to join. I will ship the prize to the winner. Philippine addresses only! Check back daily, some of the entries can be done everyday. Thanks for joining! I do have lots of reviews coming up! What kind of posts would you like to see on Becoming Sleek? I do have lots of reviews coming up! Im interested in nail art..more reviews please. Oooh definitely, nail art is my special passion. 😛 Good luck and thanks for joining! How about reviews about cheap make-ups, are they safe to use? I’m afraid that’s something I can’t do. I’m not big into fitness (halata sa body ko!). Thanks for joining! FOTD, tutorials & make up tips. Thanks for the suggestions, I’ll keep those in mind. Thanks for joining! I love BB creams! I will definitely continue to try different brands and post my thoughts on them here. Thanks for joining! All about Hair trends would be great! I’ll keep that suggestion in mind. Thanks for joining! Definitely skin care reviews will continue! Thanks for joining! I’ll keep these suggestions in mind. Thanks for joining! Will definitely put up more makeup reviews! Thanks for joining! I’ll try to do tutorials in makeup, although it’ll probably be more of tips and tricks since I’m also quite the makeup beginner. Thanks for joining! Will try to do tutorials (more on tips and tricks), but there will definitely be lots more makeup review! Thanks for joining! Definitely makeup reviews. Beauty tips I think I can do that as well. thanks for joining! Will definitely have many more haul posts and reviews! Oooh personalized DIY sounds like a great idea! I will look into this. Thanks for joining! Good luck and thanks for joining! You might want to add your other information (FB and twitter accounts) since it’s part of the raffle. Nail art definitely! Makeup tutorials will probably be more of tips and tricks, hehe. Thanks for joining! I want to see your reviews about your fave make up brushes and your skin care routine please. Thanks! Oooh thanks for the suggestions! I’ll definitely do a review of makeup brushes, and write about my skin care routine. Thanks for joining! Tutorials probably for nails I’ll do, and diy sounds like a great suggestion! Thanks for joining, Shayne! More power to your Blog and more Twitter & FB Follower! God bless! Ahaha! Unboxing posts will definitely continue! Sana hindi ko mamiss ulet yung mga subscription openings. Thanks for joining Aya! I want to see more of make up reviews so that i can compare each product. Will do! Thanks for joining! Those are the focus of my blog! Will definitely continue that! Thanks for joining! I like that you have subscribed to almost all beauty boxes available in the Philippines! I’m excited to see your unboxing posts..nakakainggit lang. Try ko din mag subscribe minsan for my birthday 🙂 I want to see clearer, bigger pictures para mas bongga, especially sa make up/ fotd’s mo. Thank you for this giveaway and your unboxing posts! Subscribe ka na din! Kahit paisa isa. 🙂 Great suggestion on better pictures, it’s true that I need to make them clearer. Thanks for joining! Reviews on local products and those that are available here in the Philippines, i.e. Ever Bilena, Avon, Nivea, etc. would be awesome. It’s hard to find reviews on products like that. I am definitely interested in doing this. I’ve already started with brands like Human Heart Nature, Snoe, and of course Celeteque. I’ll try to expand my reviews to other local products. Thanks for joining! Product reviews & more giveaways! Reviews definitely. I also plan on holding more giveaways, so stay tuned! Thanks for joining! Make up tips would be great! more unboxing posts 🙂 nice reading your blog i do have reference before purchasing products. I’ll definitely try to keep my existing subscriptions! 😀 Thanks for joining! 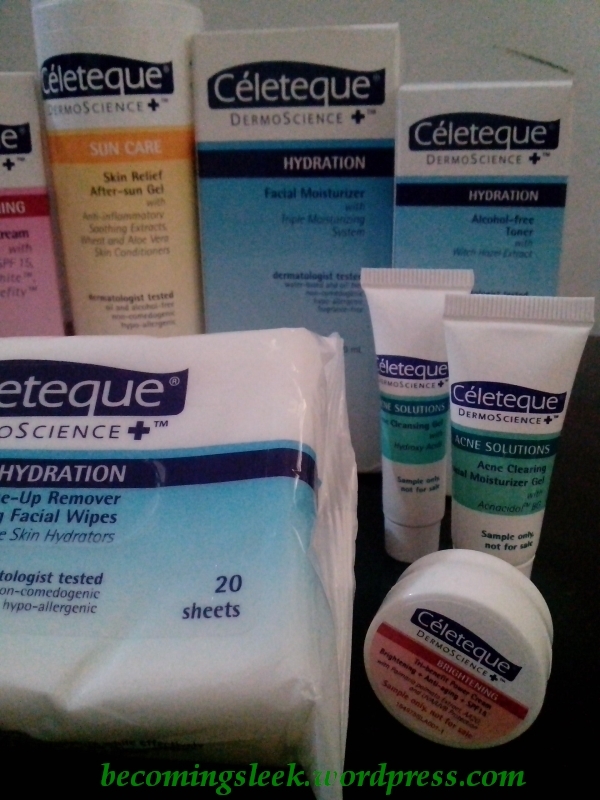 Celeteque is a great brand to try. They have lots of research going on behind it. Thanks for joining! Kindly include your FB and twitter details too. I’m also a fan of herbal skin care. I will try to discover more products and share it with you. Thanks for joining! 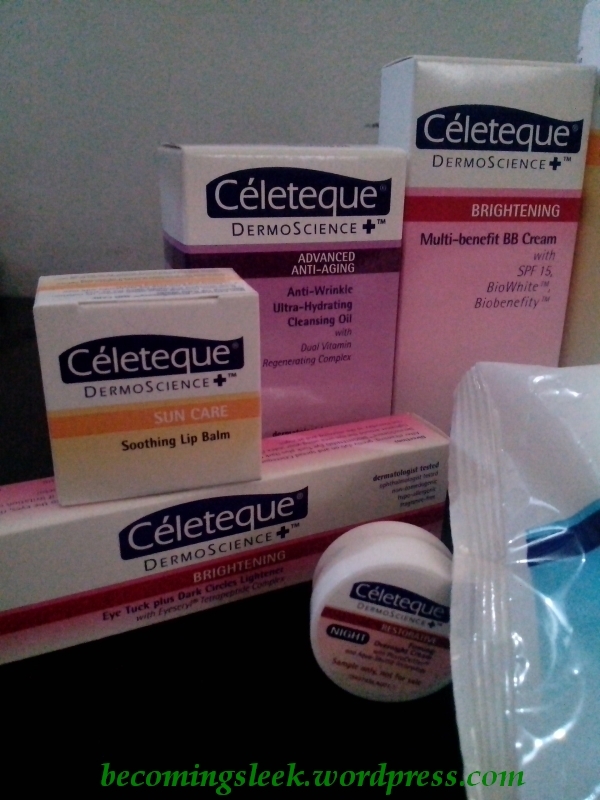 I love Celeteque, you are too generous to give these away! 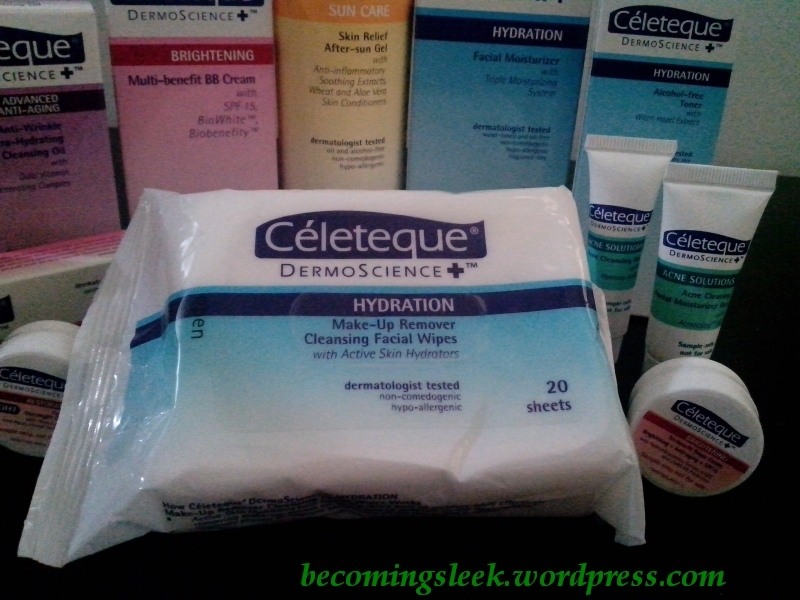 Thank you, I love Celeteque as well and I wanted to share the blessings! Thanks for joining! Post your upcoming events, reviews about cosmetics and food. That will be my focus. Good luck and thanks for joining! I’ll definitely post my hauls. Thanks for joining! I’ll try my best with makeup tutorials. Thanks for joining! I would like to see more beauty products reviews and more nail art designs 😀 Keep it up. You’ve hit on my two passions! Will definitely do reviews and nail art. Thanks for joining! I love those too! Will definitely continue those. Thanks for joining! I will do my best on those! Thanks for joining! I want to read a blog about different types of moisturizers! I would love to read about beauty secret and age defying products reviews. I’d also like to see more haul posts and any tips or tricks when it comes to beauty/makeup! I’d love to see some personal random post or some review on our local products.. I love reading beauty products and beauty finds which is affordable. beauty product reviews,hair tutorials pls. Thanks for this nice giveaway..Hope to win..More beauty product reviews pls. I would love to read about your Make up Reviews and do some Nail art. Looking forward for more of your makeup and product reviews.